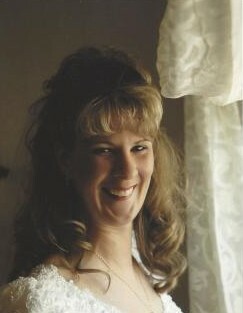 Heidi Renee Cousins 46, of Fostoria, passed away on February 4, 2019 at McLaren - Flint with her loving family by her side. Heidi was born August 8, 1972 in Lapeer to Ronald Dale and Glenadean Kay (Green) Shephard. She grew up in North Branch and would graduate from there. Heidi would marry Bobby Cousins on April 24, 2001 at Graceland. They would have three children, Taylor, Zachary and Isaac. She worked at the Back Door Lounge in Columbiaville for 16 years as a bartender. She enjoyed country and rock music, barbeques with family and friends. She loved her animals, horses when she was younger and of course her dogs Bones and Chevy. There were always those camping trips with the kids and the water parks. She liked going to the Casinos. Heidi is survived by her spouse Bobby, her daughter Taylor, and sons, Zachary and Isaac. Her parents and In-laws John and Judy Wilson and brother Wayne Shephard. Along with many special friends. Heidi was preceded in death by brother Terry Shephard.